Paper Sundaes Challenge #46 - Adorn those Corners! Happy Sundae! 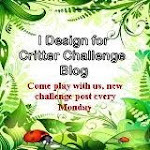 This week's challenge (PSC46) over at the Paper Sundaes Challenge Blog has a theme - "Adorn those Corners (of the image)"! We are being sponsored this week by our wonderful monthly sponsor Simon Says Stamp! 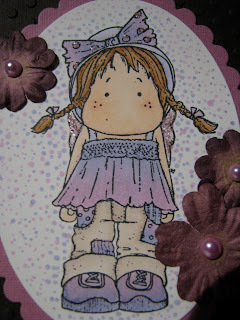 I made a small card to send with a gift using a Magnolia image called "Sweet Tilda" which I coloured with my copics. I stamped and then cut it out using my Spellbinders Label 4 die but then cut off the ends so it would fit the card better. 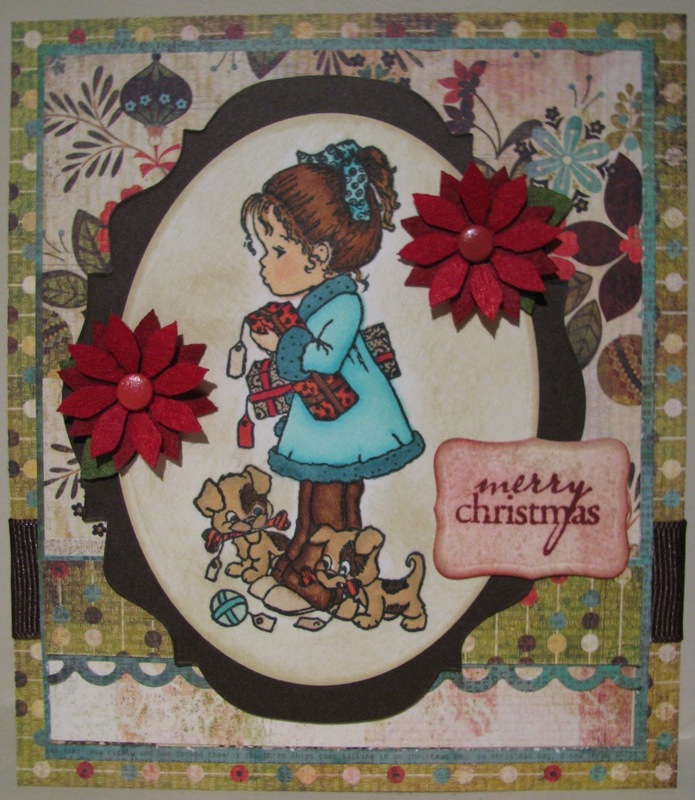 To "adorn my corners" I used Making Memories Poinsettas similar to the ones you can find here at Simon Says Stamp. I also added some red pearls to the other corners. The sentiment was from a Kraftin Kimmies set and I don't know the manufacturer of the paper as I was able to use up some scraps! 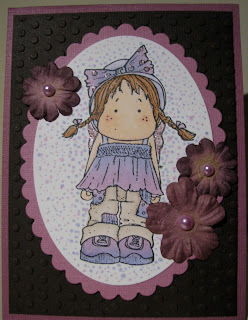 Be sure to check out the Paper Sundaes Blog to see the other fabulous design team creations. I'm so lucky to work on a great team with such talented ladies!! You still have a few days left to enter my blog candy draw here! Have a great week everyone! Great Deal so be sure to stop by and check it out! For my card this week I chose to use a Bildmalarna stamp called "Mimosa Christmas Tree" and coloured her with copics. I used this cool new Snow Marker by Marvy Uchida that I got to add some "fluff" around her hat & boots and then heated it to make it puff up. 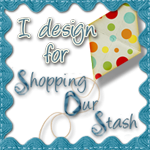 I have to say it was super easy to use and with Christmas just around the corner I'm sure you will see this on more of my future posts! I added glossy accents to the ornaments that Mimosa is holding & some of my favourite ribbon which I finally used by Bow Easy on, added a sentiment and then made a big mistake!!!! I've been using the sookwang tape to put all my cards together because it holds so well however if you accidently drop your image where you don't want to stick it you are SOL!!! Or you can add a snowflake to cover up the paper you ripped when pulling said image off and moving it. This sounded like a good idea at the time but realize after that it doesn't totally match. Oh well, hopefully I've learned from my mistake and won't let it happen again but doubt it!! Hope you are all having a fabulous weekend, the weather here has been extremely cold but beautiful so I can't complain. If you are looking for my blog candy click here, you still have until November 30th to enter! 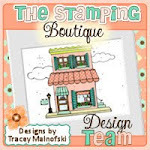 I was so excited this week to start receiving my card kits from a swap I'm in over at Splitcoast stampers! The kit I received this week was from Carla (huge hug & big thanks - I love it)! It has some fabulous Basic Grey Papers, ribbon, die cuts & this super cute image so I immediately got started & made a Christmas card with it! Now I'm not sure the name or manufacturer of this image so if anyone can help me out that would be great! 1 package Making Memories woven labels "LOVE"
1 package Pebbles Inc rub-ons "congratulations"
I think that is all that will fit in the box but if I can fit anything else to fill it up I will :) I MAY EVEN THROUGH IN A SWEET PEA RUBBER STAMP OR TWO Good luck!! Happy Sundae! 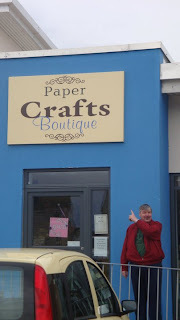 Today's challenge over at the Paper Sundaes Blog is "Take Two"which means basically use 2 (or more in my case) of any of the following items: the colour blue, embossing, ribbon or punches. I'm not really sure if I did it correctly but you can check out the Paper Sundaes Blog for more details & to see the rest of the DT creations. For my card I used an image from our fabulous sponsor this week Belles & Whistles called "Wishes". I loved this super sweet image the moment I saw it! She was coloured with copics and all design paper is by Bo Bunny! Hope everyone is having a great weekend! Sorry for the quick post but I'm packing to head out of town for the weekend :) Oh yeah just remembered I have something else fabulous to share! Anyone recognize this place? A really good friend of mine named Sandy has family in Aberdeen, Scotland and is currently visiting there right now! 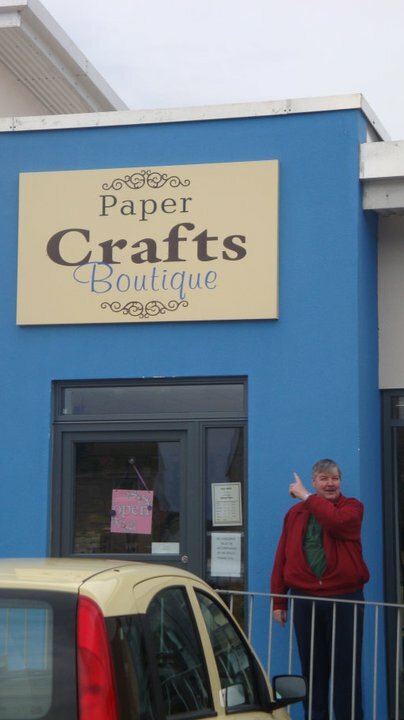 Well, earlier this week I found out he drove to Elgin & went to Paper Crafts Boutique the home of Sugar Nellie Stamps!! How cool is that? His niece Kimberlea sent took this photo & sent it! It just so happens that Sandy is returning home on my birthday :) Hmmmm I wonder if he will be bringing me something??? I will be entering my card into The Copic Oz Challenge #4 - Feather with Me. Be sure to check out the tutorial here if you haven't tried this before! Wow!!! Two posts from me in one day?? That is definitely a record.....I don't recall ever doing that but if I have it must have been quite some time ago. I've had this super adorable Lili of the Valley image "Rosie Posy" coloured for quite some time but never got around to making a card with it until today! 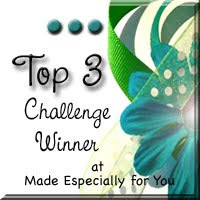 The time was perfect since over at the Lili of the Valley Challenge Blog - Week 72 Challenge is "One for the Girls". I didn't use any design paper only Bazill Cardstock and embossed with a cuttlebug folder. I cut out the image and scallop background with nesties and the sentiment is from a set I've had for awhile now. I've also entered this into the challenge over at Paperplay Challenges Week 44 which is to use circles somewhere on your card (main image & brads should count). I figured since I've had my blog for over a year now & my birthday is at the end of the month I'd put together some candy for you!! 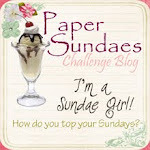 Paper Sundaes Challenge - Let it Snow!! 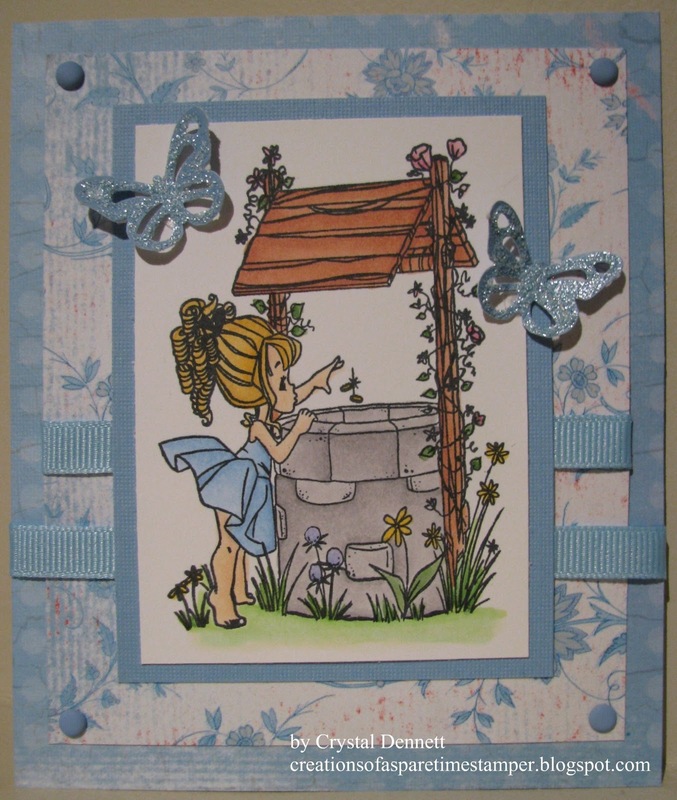 Today's challenge posted over at the Paper Sundaes Challenge Blog has the theme "Let it Snow" and this week we are being sponsored by Stamp & Create! For my card I chose to use the Kraftin Kimmie image Clara which you can pick up over at our sponsors store! Stamp & Create carries many different stamp lines including High Hopes, The Greeting Farm, Penny Black, Whiff of Joy & so many more so be sure to stop by! I coloured the image with copics and added stickles to her scarf & the barettes in her hair. The snowflake was punched out using a Martha Stewart Snowflake punch and then I airbrushed it to match and added some stickles. The sentiment is from a set I have by Hero Arts & the Snowflake & Background DP is by Dream Street appropriately titled "Wonderland - Let it Snow". The glittery brad entered in the centre of the snowflake is by Recollections.